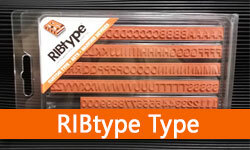 RIBtype® rubber type is an interchangeable do-it-yourself rubber stamp system that allows you to create your own stamp and change your message as needed. 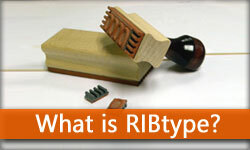 When your printing application demands frequent copy changes, RIBtype is a precise, low tech, Eco-friendly solution. 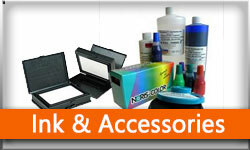 It is often used to print date codes on food packing, model and lot numbers on manufactured parts and products, bold messages on corrugated boxes, embossing hand-crafted jewelry and so much more. 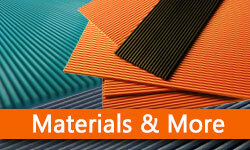 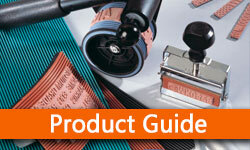 Custom applications are our specialty. 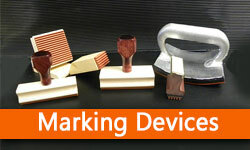 Let us help you solve your marking challenge!